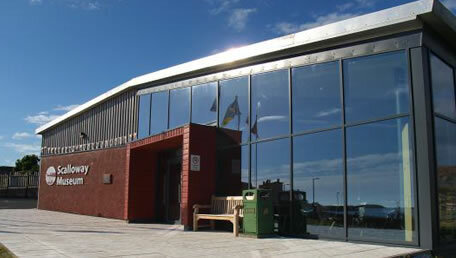 Enviroglass is a stand-alone trading unit within the Shetland Amenity Trust. It exists to provide a local, financially viable, recycling route for Shetland’s waste glass, which it turns into a range of value-added products. By processing the glass in Shetland, Enviroglass makes the isles a more self sufficient community and adds value to the local economy. Profits are reinvested into projects which protect and enhance Shetland’s unique environment. There is also an active education programme.